Lusaka, 14 March 2017 - Zambia acceded to the WHO Framework Convention on Tobacco Control (WHO FCTC) on 23rd May 2008. The Public Health Act of 1992 provides the legal framework for tobacco control in the country. It bans sales of tobacco to minors, prohibits smoking in public places, and bans advertisements in the mass media. Subsequent improvements to this law have been made including the Statutory Instrument 39 of 2008 which bans smoking in public places. However, challenges have been faced in the enforcement of tobacco control laws. Ten years after the FCTC came into force, the country has not yet enacted legislation which is fully compliant with its provisions and guidelines and it has missed critical time bound commitments for domestic implementation of the convention including packaging and labelling requirements and bans on advertisement, promotion and sponsorship. The tobacco industry interference and evidence of resistance of non-health government ministries and statutory agencies has demonstrated the need for more information and assurances that the implementation of the treaty will not be harmful to the economy. The urgency of the obligation to implement the convention should be embraced across the whole government and all implicated sectors even though the Ministry of Health plays a leadership role. 3. Identify the bottlenecks in the implementation of the WHO FCTC and suggest strategies/solutions. 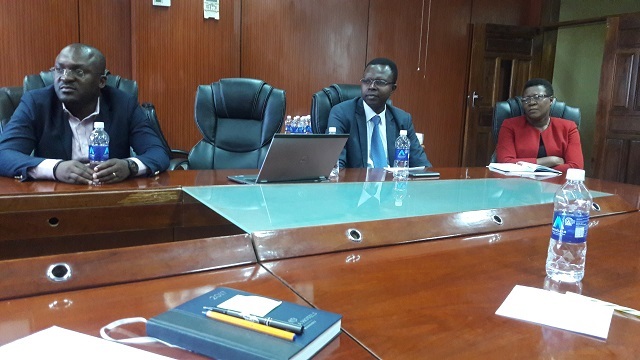 During the mission, the WHO AFRO tobacco control team held discussions with senior officials at the ministries of health, finance, commerce, trade and industry and agriculture. They also met with the Parliamentary Committee on Health at the National Assembly and a consultative meeting was held with various the civil society organizations. The key findings were that Zambia has taken some naissent steps towards implementation of the WHO FCTC which include: the development of the Tobacco Control Bill which is still at consultation stage in an effort to make it fully compliant with the WHO FCTC; sensitization of small-scale farmers on alternative crops to tobacco growing (Article 17); training of health care workers on management of tobacco cessation and dependence (Article 14); training of law enforcement agents on how to use the manual on the smoking ban in public places and development of learning materials for schools targeting primary prevention for young people (Article 12). More recently, in January 2017, government changed the tobacco tax policy from ad valorem to specific taxation, a development which is expected to increase revenue while achieving reduced consumption of tobacco products (Article 6). Efforts are ongoing to establish a multi-sectoral coordination mechanism to mobilize mandated governmental ministries to support the implementation of the WHO FCTC. The Ministry of Commerce, Trade and Industry committed to harmonize trade policies with the implementation of the WHO FCTC and requested support to build capacity on the intersection between international trade and investment policies and the implementation of the WHO FCTC. Equally, the Ministry of Agriculture is preparing a policy on diversification and tobacco is not among the 10 promoted crops (Article 17). There is high political will and readiness of the Parliamentary Committee on health at the National Assembly to fast track the adoption of the tobacco control legislation. They requested a speedy transmission of the Tobacco Control Bill to Parliament by the Ministry of Health. Civil Society Organizations have been involved in advocacy and monitoring the implementation of the WHO FCTC and research. 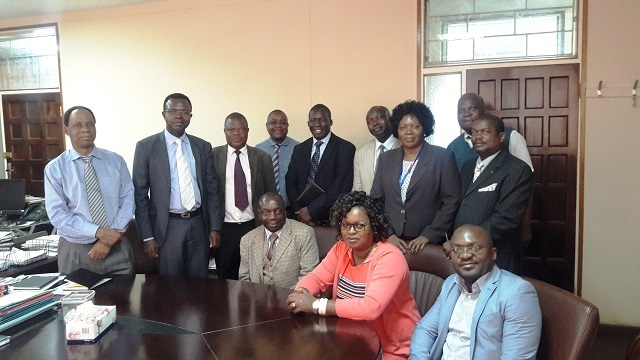 However, the civil society consortium on tobacco control needs to be reinvigorated to meet the needs of the urgency to implement the WHO FCTC in Zambia and to especially support governmental priority actions including legislation and public education. The existing evidence provided through the International Tobacco Control Policy Evaluation Project (ITC) Survey 2012 -2014 report, the Global Youth Tobacco Survey of 2011 and a study on the economics of tobacco in Zambia need to be widely disseminated to inform policy across government. Constitute and formally launch a multi-sectoral coordinating committee for implementation of the treaty. There is need for sustainable and effective coordination of all key actions to fully implement the treaty, therefore, the role of the Focal Point at Ministry of Health is fundamental. Sensitize all the MPs on the WHO FCTC especially the key committees with a mandate on the tobacco control legislation. Raise awareness on tobacco control across government, the general public and communities particularly with support of the civil society. Support the track and tracing study tour for Zambia to the Kenya Revenue Authority. Support a workshop on the Protocol to Eliminate Illicit Trade in Tobacco Products (ITP) and technical support for MOH to initiate the processes towards accession to the ITP. Provide financial and technical support for a workshop on international trade and investment law and FCTC implementation. Conduct additional technical missions to support activities in relation to the recommendations made and select key actions in fast tracking the implementation of the WHO FCTC.